I make meat chips from cured meats like salami, prosciutto, pancetta, etc., to nibble on or dip in fondue or queso. You can crumble tem on otherwise healthy dishes like salads and granola… just kidding. Perfect for gluten-free and paleo diets as well as for meat freaks. cured meat: salami, prosciutto, pancetta, soppresata, etc. Preheat the oven to 300 °. Lay meat on sheet pans. They can be touching, but not overlapping. Cook until crisp. You can flip them over or not. Drain and save the fat for flavoring another dish. This is not so much a recipe as a technique. 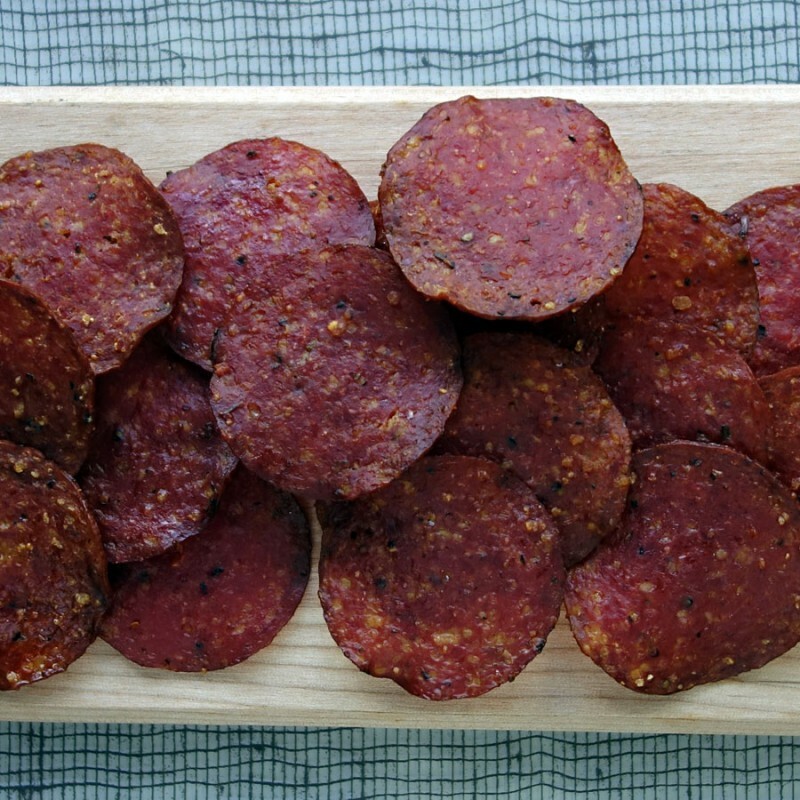 You can use any type of cured meat.